As a little boy, Eddie used to go every Sunday play fiddle and guitar with his family. He learned fiddle with his uncle and watching his parents. When he was nine, he was sent to residential school. Music was not part of his life during those three years. When he came home, his father was still playing fiddle everyday and he gave him back this passion. At 16, he left home to work in construction in Syracuse, NY. His other uncle was also a fiddler and living in Syracuse at the time, so he continued playing occasionally. Around 1974, he moved back to Kitigan-Zibi. 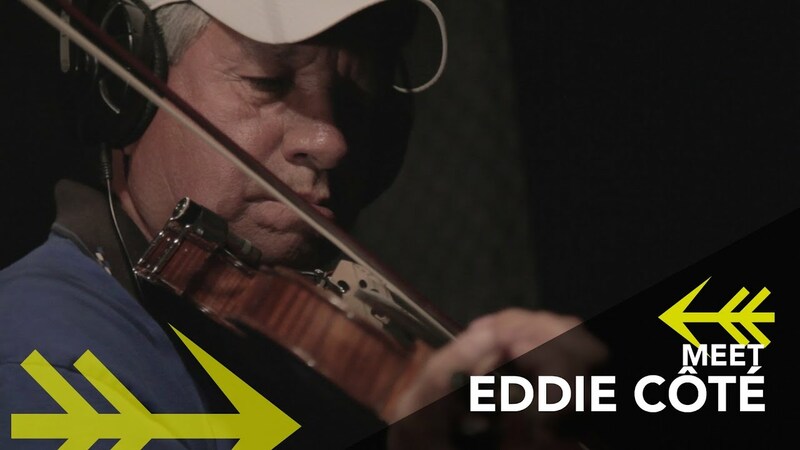 Eddie spent a lot of time listening and playing fiddle with his father. His father started playing one part of this tune and Eddie was trying to finish the 2nd part. His father suffered from heart disease and eventually passed before they could finish it. As time went by, Eddie worked on finishing the 2nd part of their song. He named it « Pizendawatch Breakdown » in memory of my father John Pizendawatch Cote.